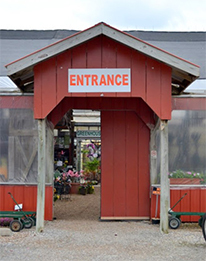 The place to shop for all your garden and landscaping needs. See what sales and flowers are blooming around Daniel’s this summer. Sizzling summer specials! Come by to check out what summer specials we have going on. Sales vary each year. Watering Guide! Proper watering is one of the most important details in landscaping and garden care. Many people kill their plants by over or under watering! Come by and pick up one of our tree and shrub watering guides for the hot summer months. Ornamental Grasses! Ornamental grasses thrive in the warm weather of summer. If you plant them while it is still cool, they may struggle at first. That’s why early summer is the prime time to plant Ornamental grasses. They are enjoying a burst of increased popularity as accent plants, ground covers, screens, and border edgings. Many ornamental grasses produce attractive flowers or plumes that gracefully sway with the wind and offer textural interest to your garden. Perennial Planting month! June is the time of year to plant your perennial garden. Perennials are plants that live year after year. Whether you’re planting a perennial garden or plugging in perennials throughout your annuals, perennials add texture and variety with different blooming times. Come by and check out our perennial specials! Not Too Late to Plant! Didn’t get around to planting that tree or shrub this spring? Don’t worry, you can still install potted plants during the summer months. Click on the image below to see inside!